After our previous post "Homophobia in Ukip - A Tragedy In Three Acts", 48 hours passed (despite promising a statement 'shortly') before the LGBT Wing of #Ukip - @ukiplgbt - finally decided that it might be an idea to issue something. 48 hours. That long - simply to express their resistance to a Homophobic Ukip Candidate. That should have taken 10 minutes. It's what @ukiplgbt are supposed to do. 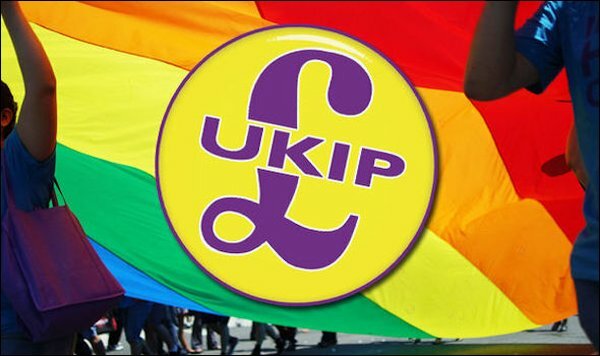 Ukip LGBT - Conspicuous by their silence. And even then, their "statement" was watered down so much it was hard to see any edge in it. Here it is, with our critique. "Like society as a whole - UKIP includes people with many different backgrounds, views and opinions. By and large, something we are proud of." You could claim that about any Party, of course, but demographic studies of Ukip members here and here show that Ukip is *less* diverse than any other UK political Party. Ukip are certainly not "like society as a whole". "But many of the statements made by Alan Craig - particularly about LGBT* and us as activists, are simply not acceptable to us as a group." We agree. We decided that here in less than 10 minutes. We are puzzled as to why it took you 2 days to come to the same conclusion. And still you do not call for his deselection. "Nor do I believe they are acceptable to the majority of UKIP members." Hmmm. majority? Perhaps not. We have no data. But Craig's comments have received a great deal of support on Social Media from many, many people who name themselves as Ukip voters, supporters and members. Huge support has also come from the Official Ukip Blog, Breitbart London, where most articles are written by people with connections to Ukip. Breitbart has come out in support of Alan Craig and highly critical of the Petition against him. "I do not believe that Mr Alan Craig is an appropriate selection as his expressed views on the LGBT* community are not compatible with the libertarian values of UKIP." We agree. Again, we got there in 10 minutes. Still no call from you for him to be removed, though? "Instead it is the duty of the party to demonstrate our inclusivity." "Demonstrating our inclusivity" by approving and vetting a Candidate with such views; we think that Ukip's 'inclusivity' has been well and truly kicked into touch, here. "UKIP has the only openly gay mayoral candidate, the fantastic Peter Whittle, as well as gay GLA candidate Alex Nieora." Correct. But does selecting these Gay Candidates give Ukip a Free Pass to pick a documented homophobe as well? No? No. Hence, the selection of these two candidates is irrelevant to the case of Alan Craig. This is pure Pinkwash at it's finest. Whittle certainly mentions his sexuality very often. Which is why it's a puzzle that he, too, has been silent on this issue, in his party, in his very own city. Oh, and Whittle and Nieora were not selected by London members, but by a committee - very undemocratic. Even Ukip MEP Gerard Batten criticised the process. But that's another issue. "As we proved at our annual conference last year in Doncaster, LGBT* in UKIP has huge support from the Party leadership and members alike. Nigel Farage and many of our MEPs made a point of visiting our stall - the first time LGBT* in UKIP has had a stall at conference - and express their support for LGBT* rights." Not sure this qualifies as 'Proof'. Certainly qualifies as a very good 'Photo Opportunity' for the Media. "This is the UKIP that we see on a day-to-day basis." Not so. If so, Craig would never have been even considered, never mind vetted, approved and selected, as a Candidate. And rubber stamped by Nigel Farage, of course. The Ukip that we see everyday is Alan Craig. "As with any group - including the Conservatives, Labour, Liberal Democrats and others, there are some members and supporters whose views do cross the line of acceptability." As with any group, yes, that's partially true, all parties have them. Sadly Ukip seems to have 10 times as many, and in a party 1/10th the size of the main parties. From January 2015 to January 2016, there were 112 Ukip resignations, suspensions, deselections, ejections for various reasons including homophobia. 12 more just in the first few weeks this year. "But UKIP is the only major UK political party with a track record of dealing with these..."
Ukip is mainly the Party that has to. And 'dealing' means what? Plenty are still in the Party. As we have mentioned before, the silence of @ukiplgbt when these issues crop up so regularly has been telling. "and we will continue to press the Party to do so, particularly on LGBT* and equality issues." How? By your silence? We've said this for months. You fail to address these issues. "We ask for the representative's of UKIP to unite and support LGBT* equality and dissociated from advocates of all forms of discrimination." You should not be asking. You should be demanding. Where is the outcry? Where is the opinion of Whittle, Nieora, Coburn? Why do @ukiplgbt and these others spend 95% of their time claiming there is no hate within Ukip - instead of fighting it? Why are we doing their job for them? 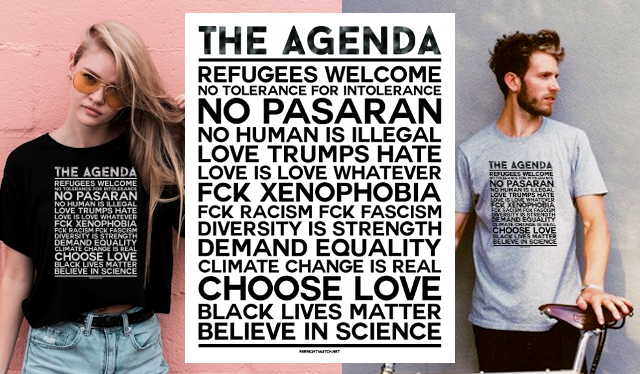 If not to challenge Homophobia and Hate - what are Ukip LGBT actually FOR? A final issue on this "statement": At no point has @ukiplgbt actually called for Alan Craig to be deselected as a Candidate. And that is all LGBT members of Ukip need to know. Ukip - never, ever again will you be able to defend yourselves against accusations of Homophobic Hate when it is so perfectly proven on this occassion. And if @ukiplgbt refuse to fight these issues, one has to wonder just what actually is their purpose ... except to provide Ukip with a group to point to, to show "how inclusive" they are.